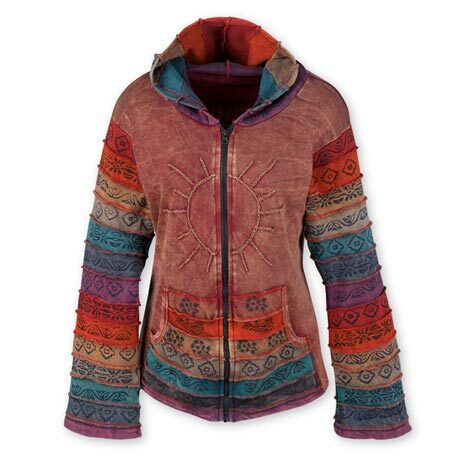 A cotton hoodie that warms like the sun while paying tribute to it. Made in Nepal, it spreads a little sunshine everywhere it's worn, from the beach to the bistro. Zip front. Machine wash. Brown only. Specify size: S/M, L/XL, XXL.